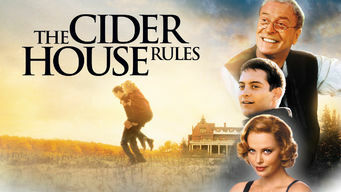 How to watch The Cider House Rules (1999) on Netflix Argentina! Yes, The Cider House Rules is now available on Argentine Netflix. It arrived for online streaming on October 7, 2017. We'll keep checking Netflix Argentina for The Cider House Rules, and this page will be updated with any changes. A protégé to a physician who runs an orphanage sets off to see the world, but reality soon intrudes on his youthful idealism and moral certitude. Raised in an orphanage, a young man goes out in the world and experiences rites of passage that shake him to the core.